I am really pleased to interview Kate Harrison to the blog today. Many of you may know Kate from her romantic comedy series, The Secret Shopper. Kate published her first Young Adult book, Soul Beach, last week which, is a completely different style to the books she has published before, but definitely one we would all like to see more of. 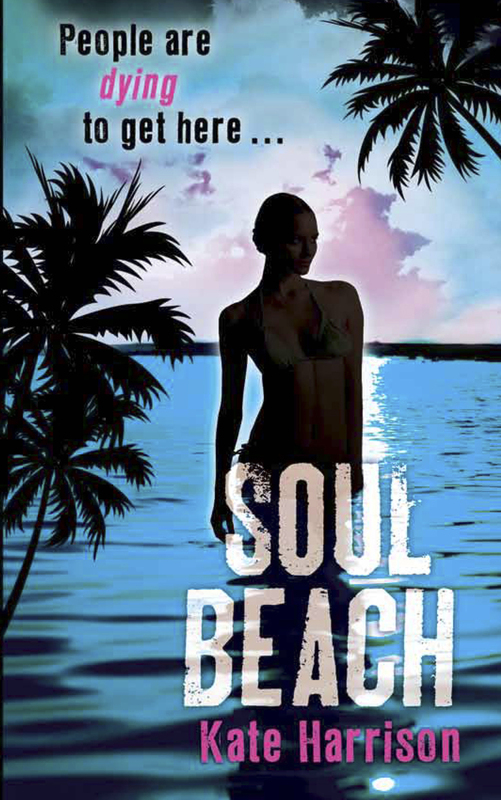 If you would like to read my review of Soul Beach, then do pop back at 3pm to find out what I thought. 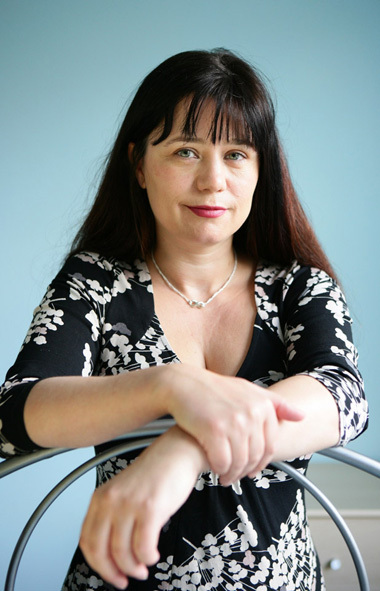 You are known as a ‘chick lit’ author, how do you think your fans will react to your new writing venture in the YA market? I *really* hope they’ll enjoy reading the new book as much as I did writing it. Seriously, it’s been very exciting to try something so different. I love writing romantic comedies but this is edgier and uses a different side of my imagination. And one of my most biased fans – my mum – says it’s her favourite of all my books, even though she’s not exactly in the teen category (hope I don’t get in trouble for saying that). Soul Beach is to be included in Orion’s new YA imprint, Indigo. How do you feel about this? 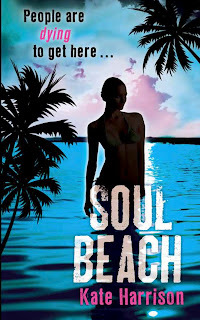 How did you find writing Soul Beach differed to your writing experiences with your other novels? Does the writing process become easier with each new book you write? I wish it did! In some ways, it gets harder as everyone’s expectations are higher – including my own. I want to write a better book each time which is extra pressure. It’s probably like being an explorer – you know you’ve been able to get to the summit before, but the route is always different and the challenges are different too. The best thing I’ve learned is that editing can always improve a rubbish first draft, so I try not to worry too much when I am getting the story down. Living in Sussex, by the sea, do you find inspiration in the area that you live in? Have you ever included areas you know well in the books you have written? We’ve only recently moved to Sussex but it definitely doesn’t do any harm to be able to nip down to the beach to look at the sea. Though Soul Beach is not pebbly, like it is down here. And as I sit here looking at the rain, the tropical weather definitely comes from my imagination. I have written about real places I’ve lived and loved: Birmingham, Bristol, London and, most recently, Barcelona, where we lived for eighteen months. That might be a bit closer to the paradise beach – and it features in Book 2 of the Soul Beach trilogy. What inspired you to write Soul Beach? It’s a slightly odd story. I noticed how all the photos on the news of people who’d died under tragic circumstances seem to come from Facebook, now. I began to think of a site where all the profiles were of dead people who stayed beautiful and lived on forever online. Creepy, I know, but fascinating too. What kind of research did you need to carry out before writing Soul Beach and how long did it take you? I research as I go along, really. Because the book deals with loss and grief, I drew on my own experiences reporting on terrible situations and interviewing families. Each person on Soul Beach has their own story, so I had to be sure I was right about the effects of online bullying, for example. Plus I’ve found out about police procedures, which I didn’t have to understand for my romantic comedies. It’s a mix of online research, watching TV shows, and talking to people. Do you plan before you begin writing or just go with the flow of the idea in your head? A mixture of both. I like to have some kind of idea where the story is going, but that doesn’t mean I have every element worked out, and sometimes a brilliant idea pops up in the middle of writing. Those are the best days! When writing, what is your daily word target? Do you use Mac or Windows to write in? Windows. I know everyone loves their Macs but I haven’t yet taken a bite of the Apple. I love the thrill of a new idea so I usually tend to write the whole lot in a big splurge. Or, more accurately, I might write a third of the book and then go back to the beginning to see what I’ve learned about the character and the setting, rework, and then get to the end. With Soul Beach, it was a bit different. I wrote half of the book and then polished it ready for my agent to show it some publishers as I had no contacts within the children’s book world. Then, once the lovely Amber at Orion had acquired the book, I did the rest. What do you normally do once the first draft is finished? I am a fan of putting the manuscript away for as long as you can, because it really helps you to read it afresh, more like a normal reader was. If you hurry to rework immediately, you might not be seeing the book as it really is. I think it needs a little time to ferment. I’m working on the second Soul Beach book, and my next adult novel, My Big Fat Boot Camp, which is about a group of women who go on a hideous week of exercise. My idea of hell, but I did it in the name of research. It really varies. I do like writing at night, it feels quite romantic somehow, what a ‘real’ writer should do. But the guilt of not writing earlier means I do work in the morning too! Afternoons tend to be my ‘slump’ time...! I read somewhere that baroque style classical music can help concentration so I downloaded an album I have on in the background sometimes. Or I find some music on Spotify. But I can’t work with lyrics playing unless they’re songs I know backwards so they don’t intrude. I’m in a soul choir so I sometimes play the soprano parts for that to help me learn them! All sorts: Noel Streatfeild was a huge influence, I loved her books, especially A Painted Garden. Also Susan Cooper’s The Dark is Rising series and the wonderfully funny Bagthorpe Saga by Helen Cresswell. All boarding school books including Malory Towers, the Chalet School books, and the Trebizon series. And Roald Dahl, of course. I lived to read as a child – I was quite sickly and spent quite a bit of time off school, so escaped into other worlds through books. It’s turned out to be a lifelong love affair! It’s impossible to answer that one! But a few of my automatic reads would be any new books by Jenny Downham, Lisa Jewell, Lucy Dillon and Antony Capella. If you could have written any other book in the world, what would it be? That’s such a hard question! The Harry Potter books would have been nice... or perhaps How to be a Domestic Goddess by Nigella Lawson. That sounds like a lot of fun to research. Switch off your broadband, write with passion, learn to edit. Oh, and don’t dwell on what other people are writing – your job is to write the very best book you can write, because your voice will be unique. Thank you Kate for your inspirational words. I look forward to hearing more about your Boot Camp book as well as the second installment of Soul Beach. Soul Beach is available to buy now and I highly recommend that you do. See you back here at 3pm for my review of Soul Beach. Lovely interview and I can't wait to read Soul beach! Can't wait to read Soul Beach! I loved hearing about the inspiration behind the story - very interesting! Great interview. Thanks for sharing. All best for your next two books Kate. I loved the newbie author advice by the way! I do believe it is important to focus on your own story.